The idea that cucumbers are only useful to treat dark under-eye circles while your face mask does the real work is long gone. These green veggies are wonderful to eat because of the mild flavor that lends itself to culinary dishes really well. Cucumbers also provide a crunchy texture, making it fun to eat on the go, in a salad, or just by itself with a sprinkle of salt. 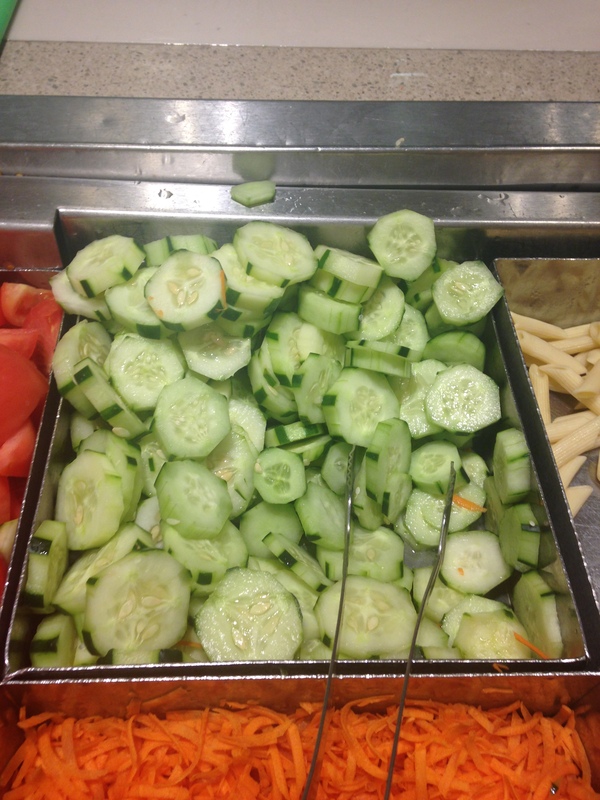 Cucumbers are the watermelons of vegetables. They consist of 95 percent water, meaning this snack is as hydrating as can be! They are also better for you than watermelons, with a lower sugar content. In addition, cucumbers are a good source of B vitamins, which help reduce stress and help your memory. These veggies are great for your tummy as well because their fiber and water content works together to aid in digestion. And make sure to eat your skin! The cucumber skin, that is. The peel of a cucumber contains most of its fiber, as well as vitamin K, which is good for your blood and bones. The skin is also good for your vision because it contains beta-carotene. It’s so easy to incorporate these veggies into your life! Here’s one of my favorite tasty and nutrition-packed recipes that you can make in the dining hall. Cut up each cucumber slice into four pieces and dice the tomato. Add a few dashes of salt on top of the veggies and mix. Then, combine it with a few shakes of oregano and lemon juice. You can add chickpeas and some canola oil to make a vegan meal out of it!